Automatic watches are powered by the natural motion of your wrist while you wear them. This type of watch has a rich history reaching back to the 18th century. Today, countless brands produce their own automatic calibers for their watches. Automatic watches fall under the larger umbrella term of mechanical watches. They offer a key advantage over manual timepieces: They wind automatically via the movement of the wearer's arm. An oscillating mass inside the caliber is responsible for winding the spring. Today, this is in most cases a winding rotor. It is flexibly mounted so that gravity pulls it towards the center. When you're wearing the watch and move your wrist, the rotor moves and gives the caliber new energy. Automatic watches don't require batteries, making mechanical watches comparably more environmentally friendly than battery-powered quartz watches. Automatic watches are available from almost every famous watch manufacturer in all price ranges. Less expensive models are often powered by base calibers made by the ébauche manufacturers ETA, Soprod, or Sellita. Various manufacturers use these calibers in a more or less reworked form in their watches. These calibers even power the watches made by famous brands such as Breitling and TAG Heuer. However, both manufacturers have developed their own in-house movements as well. 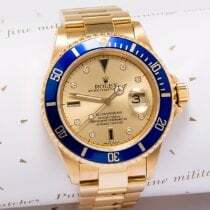 Rolex and Patek Philippe are some of the most well-known watch manufacturers. Unlike many other brands, these two Geneva-based manufacturers don't outsource base calibers. Instead, they use their own. For example, Rolex's caliber 3130 is considered very robust, reliable, and precise. These qualities and more make the caliber one of the best automatic movements on the market; it powers Rolex watches such as the Submariner. Since Rolex produces their watches almost entirely in-house, production is costlier. This results in higher prices for automatic watches with in-house movements. If you're searching for an automatic watch, the hard part is actually choosing one. Should it be large or small, simple or extravagant, affordable or expensive? The selection is ample for every taste and budget. Pre-owned automatic watches from Citizen, Seiko, or Swatch are available for around 50 euros. These watches often only have three hands for the hours, minutes, and seconds. Some also have a date or even day/date display. 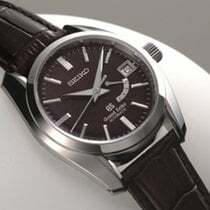 In the price range between 100 and 200 euros, you can find diverse new automatic watches from brands like Seiko or Fossil. Pre-owned watches from long-established manufacturers such as Tissot, Hamilton, or Longines cost up to 500 euros. The situation is similar in the 1,000 euros and under price range, though here you can also find new models from the German brand Marcello C.
In the 1,000 euro price range, you can find pre-owned Omega or Breitling watches. New automatic three-hand watches are available from Oris, Raymond Weil, or Rado. However, if you're looking for an automatic chronograph, you need to adjust your budget accordingly. A pre-owned automatic chronograph costs at least 500 euros; this applies to watches from brands such as Tissot or Hamilton. New chronographs cost a few hundred euros more, around 800 euros. These watches are often powered by ETA's Valjoux 7750, which is considered one of the most successful automatic chronograph calibers in the world. If you're searching for a new automatic Rolex, you need to plan on spending at least 3,000 euros. 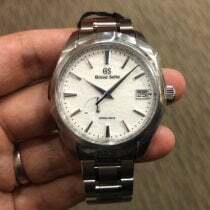 You can purchase the introductory model, Oyster Perpetual, for this price. 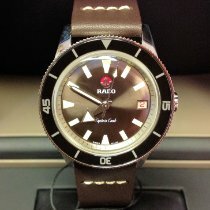 You can occasionally find pre-owned vintage watches from this Genevan manufacturer for less than 1,000 euros. The Submariner, one of the first and most famous diving watches in the world, is available pre-owned for around 4,100 euros. New, it costs around 5,600 euros. Rolex's chronograph, the Daytona, is available for around 7,500 euros. The most expensive automatic watches are from brands such as Audemars Piguet and Patek Philippe. These watches are often made of platinum or 18-karat gold and feature countless diamonds on their dial and/or case. At times, these watches are also incredibly expensive as they're rare vintage watches coveted by collectors. 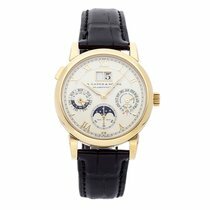 Prices over 1 million euros are not too rare when it comes to these watches. The mainspring of an automatic watch is, as the name suggests, automatically wound by the movement itself. The mainspring is wound, becomes tense, and stores energy. This happens through the natural movements of the wearer's arm when the watch is on his or her wrist. This mechanism eliminates the need to manually wind the mainspring. Instead, an oscillating mass - often the rotor - winds the mainspring. Gravity causes the flexibly mounted rotor to move towards the center and a gear-train transfers the energy from the rotor's movement to the barrel. Viewed from a physics standpoint, the mechanism converts kinetic energy into potential energy. There are automatic movements that wind in one or both directions. Bi-directional winding movements have so-called reverser gears. These ensure that the rotor winds the barrel in both directions. Uni-directional winding movements actually wind bidirectionally, but the mainspring is only wound in one direction. Both variants have a reduction gear which converts the fast movements of the rotor into slower movements with more torque. The end of the mainspring is not directly connected to the barrel so that it doesn't snap off when it's fully wound. The outer end of the spring is outfitted with a bridle, which keeps the pressure on the mainspring's outermost coil. When not fully wound, that pressure allows the outer end of the mainspring to be caught in a notch in the barrel wall. Once the spring is fully wound, it moves along to the next notch. Automatic watches have many advantages: They're comfortable, environmentally-friendly, and usually more precise. This improved precision is due to the mainspring, which is always tense and has a more constant torque than mainsprings in hand-wound calibers. This has a positive effect on the amplitude. The amplitude is the balance wheel's degree of rotation and refers to the wheel's maximum rotation angle between equilibrium and a reversal point. Automatic winding is one of the most important and long-lasting innovations in the history of watchmaking and the mechanism is one of the most widespread complications in use today. Today's automatic watches can trace their origin back to the year 1729. Abraham-Louis Perrelet improved the winding mechanism of pocket watches in the 18th century. A small key was required to wind a movement before this improvement. Since the key was never there when you needed it, winding mechanisms that didn't require a key were in high demand. Perrelet wanted to invent a self-winding pocket watch. In 1770, he introduced his pedometer watch after countless attempts. The watch had an oscillating weight which teetered back and forth as the wearer walked. The motion caused the oscillating weight to tense the mainspring. Perrelet also developed a caliber with a winding rotor which swiveled above the movement. With these innovations, the groundwork for today's automatic watches was laid. Refined men carried their pocket watches tucked away safely in their jacket, vest, or pants. The timepieces barely moved while in their pockets, which meant that the oscillating mass didn't have enough energy to wind the mainspring. The crown-wind method solved the key-wind problem in the mid-19th century, making the automatic pocket watch superfluous. The French watchmaker Léon Leroy was also a pioneer in the development of automatic watches. He presented his first automatic wristwatch in 1922. Some of these watches even had a date display. However, Leroy was far away from being able to mass produce a series. The British watchmaker John Harwood lead automatic wristwatches to series production. He began working on automatic movements in 1922. Two years later, he patented his work, paving the way for the first series-produced automatic wristwatches. Rolex's Oyster Perpetual was one of the first automatic wristwatches. Rolex introduced the watch to the market in 1931. It's one of the few early models that has lasted over the years and is still produced today. The principle behind Oyster Perpetual's winding rotor is at the heart of every modern automatic wristwatch.